We had Christmas dinner at my in-laws house last year. My father-in-law is practically famous for his crazy delicious rolls (top secret recipe of his!) and they are always my favorite. These rolls are no joke — they are massive and very filling. So, obviously, there has to be some strategy of how you can eat all the rolls and still fit in the other dishes. Anyways, last year, there might have been a contender for those rolls….a very seemingly unpretentious pear salad. 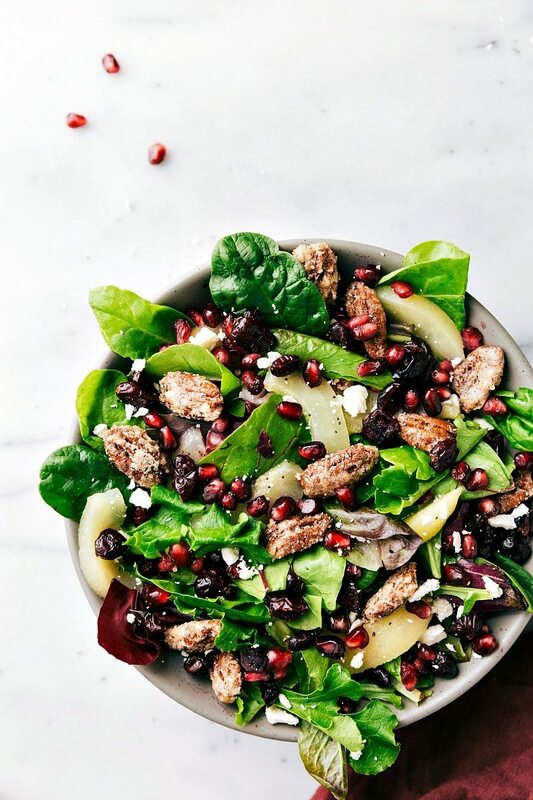 It consisted of mixed greens, pears, dried cranberries, candied nuts, and crumbled cheese. I can’t believe it has taken me this long to re-create a similar pear salad, BUT I do have it right in time for Christmas! 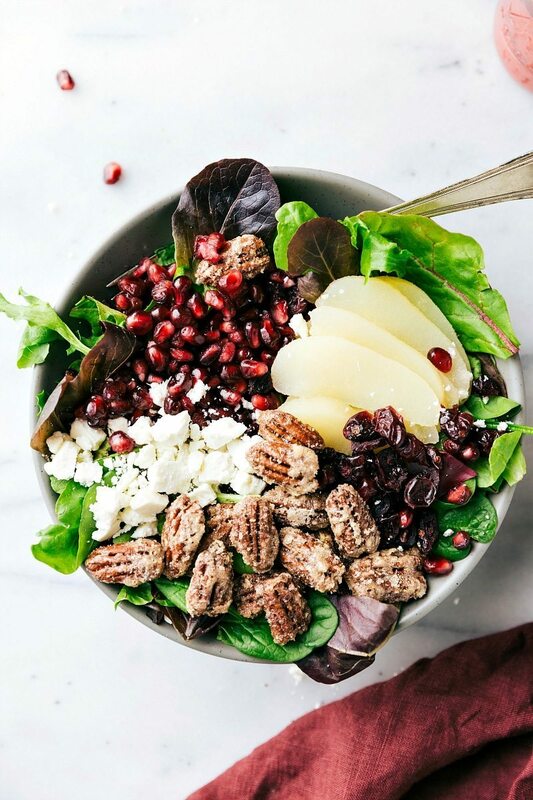 This salad is filled with fresh fruit, crunchy & sweet nuts, and the most amazing raspberry dressing ever. The dressing is an easy blender dressing, but it is packed to the brim with flavor. It’s also super thick WITHOUT using any mayo! 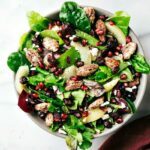 Each component of the pear salad — the actual salad, the candied pecans, and the dressing each have very simple steps and come together easily. Start with candy-ing the pecans first, work on the dressing next, and lastly: combine all the salad ingredients and toss it all together! 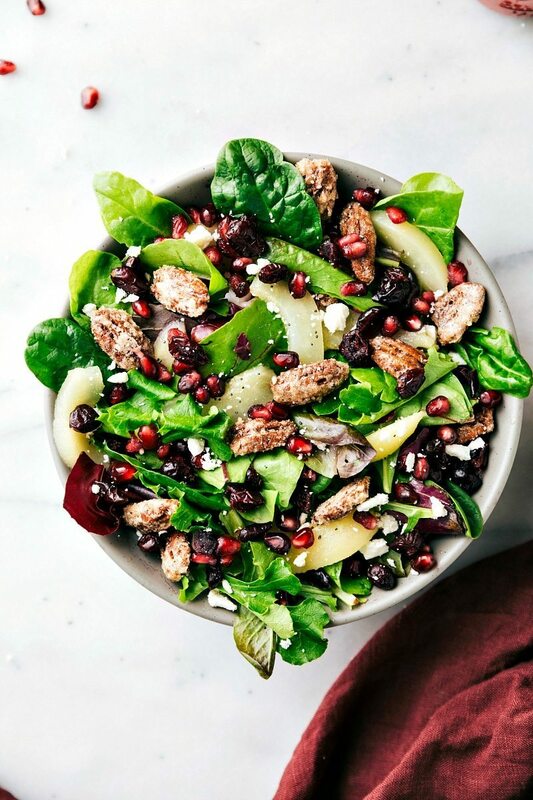 If you are in a pinch for time or don’t have a desire to make a homemade dressing, a good alternative is mixing together (in equal parts) pre-made poppyseed dressing with a raspberry vinaigrette. 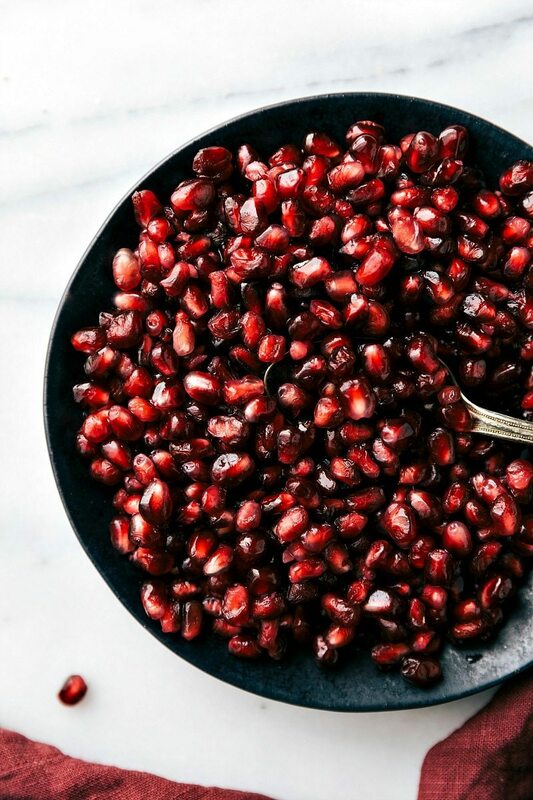 Another time saver is getting packaged pomegranate arils so you don’t have to deal with removing all the arils yourself. Enjoy! *I use canned pears because of the texture (soft!) and sweetness to them. Feel free to substitute fresh pears if desired. The amounts of toppings are general guidelines -- we like a lot of toppings to the amount of lettuce. You are doing great work. I love reading your blogs and articles, I am a die-hard follower of your work. Thanks for giving so much knowledge to the readers through your inspiring words. The salad was a hit at my work Turkey Day lunch! Everyone went “nuts” over the candied pecans and the salad bowl is empty. I will be making it for a Sunday lunch and for next Thursday. Hope to post a pic before they devour those salad. Haha! I’m so thrilled to hear this was a hit 🙂 Thank you so much for the comment Patricia! Grilled chicken breasts would be delicious with this salad! I won’t have time to make the dressing. Is there something you can recommend a dressing that I can buy instead. Is there a substitute that coulf be used for red wine vinegar? Is there a reason for using frozen and thawed raspberries? Is using fresh raspberries okay? Fresh is fine too! 🙂 Usually in the winter I’ll use frozen because they are (typically; at least where I’m at) sweeter than fresh. Can you make the candied pecans ahead of time? Just trying to save time on Christmas Day! 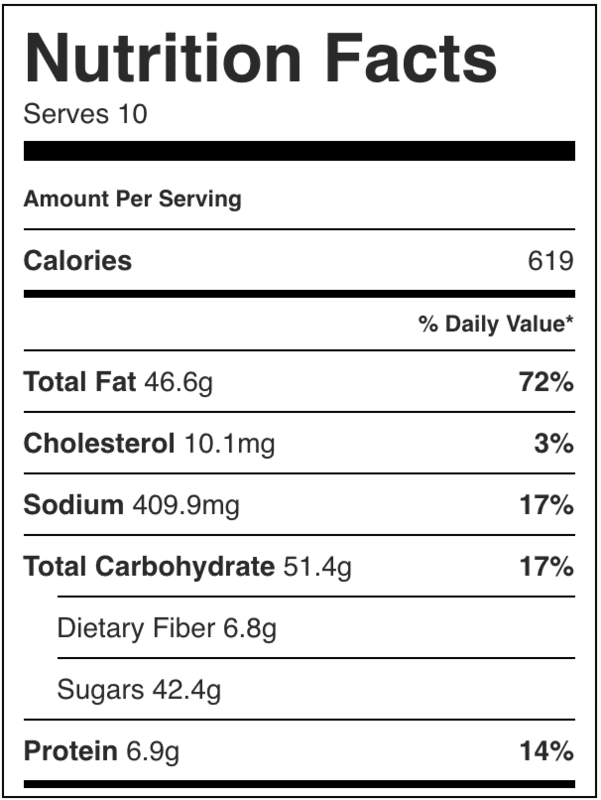 Also how many servings is this recipe? 6-8 as a side. Enjoy! This looks so good! I love the addition of the pomegranates and the candied pecans. YUM!